Benchmarking is a comparison method with those of related and comparable organizations. This article explains benchmarking in a practical way. After reading you will understand the basics of this powerful marketing and compare approach. Benchmarking is the measurement of an organization’s internal processes and performance data and a comparison with those of related and comparable organizations. Preferably, these comparisons are made with businesses from the same sector, but it is possible to use benchmarking between businesses from other sectors as well. In these comparisons it mainly concerns the dimensions quality, time and costs of organizations that are about the same size and that more or less have the same outlet. In addition, it is about how certain features can be realized better, faster and cheaper. Benchmarking is used and applied within the (strategic) management of organizations. Several aspects of processes are evaluated against the best performance of other companies. It is however necessary that this comparison is made between companies with common features (peer group).Through this approach, organizations will acquire a better understanding of how they can tackle developments and improvements in the best possible way. This approach can be a non-recurring event, but it is increasingly used as a continuous process to improve the performance of the organization. An organization researches its organizational processes to find out what the strengths of other organizations are. Analyses are made of the activities with respect to successful processes for reasons of cost reduction and efficiency. Investors compare corporate performance, and look at opportunities and alternatives. New products or upgrades for current products are designed based on comparative research. By comparing the competitors’ products, the organization will discover the strengths and weaknesses of the current product. This comparison involves observing the strategic policies of other organizations. Benchmarking can be applied to any operational process or to any function. Many investigation techniques are used such as having conversations with clients, staff and suppliers, marketing research, quantitative research, surveys, quality control and financial ratio analyses. By knowing in advance what the organization wants to compare specifically, it is possible to look more closely at comparable organizations. For example, when a company wants to improve their complaint handling, it is interesting to identify the test fields that comparable organizations use for complaint handling. Comparison is only successful when it is based on an organization that excels in the specific test field. Customers, suppliers, financial analysts, professional associations could lead to such organizations. Investigation agencies have specific business processes at their disposal which they have acquired from qualitative and quantitative research. Organizations are often receptive to sharing knowledge and experience. Networking meetings are excellent opportunities to make contacts with other companies that have qualities in common. (peer group). Development plans and execution plans will improve by putting into practice the most progressive and best practical experiences from the benchmarking study. This includes all travel costs, hotel costs, meals, gifts and lost working hours. Employees involved in benchmarking will be investing time in researching problems and finding exceptional companies to study and compare. The costs for setting up and maintaining a database in which data are collected of the companies that are to be compared. The costs can be significantly reduced through using Internet resources. There is a wealth of information to be found on the Internet about various companies and organizations. This information will speed up the process and is therefore a much cheaper option. What do you think? Is Benchmarking applicable in today’s modern economy? Do you recognize the practical explanation or do you have more suggestions? What are your success factors for a good Benchmark? Bogan, C. E., & English, M. J. (1994). Benchmarking for best practices: winning through innovative adaptation. McGraw-Hill. Camp, R. C. (1989). Benchmarking: the search for industry best practices that lead to superior performance. Griffin, A. (1997). PDMA research on new product development practices: updating trends and benchmarking best practices. Journal of product innovation management, 14(6), 429-458. Povey, B. (1997). Benchmarking: A tool for continuous improvement. John Wiley and Sons. 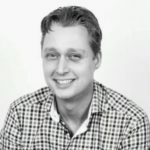 Vincent van Vliet is co-founder and responsible for the content and release management. Together with the team Vincent sets the strategy and manages the content planning, go-to-market, customer experience and corporate development aspects of the company.